As the new film, “Hunger Games, Mocking Jay Part 2,” opens in theaters this week, kids are being invited to a free HungerCraft Game Jam Nov. 21. 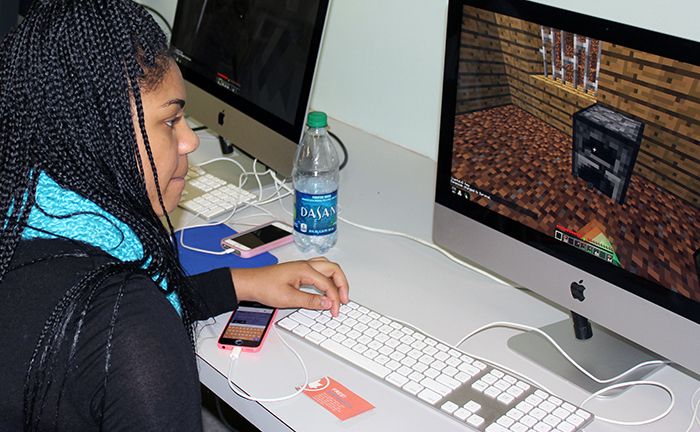 Connected Camps, a benefit corporation, and Global Kids Inc, a nonprofit organization, are offering the event in an effort to get more youth interested in coding and social justice by playing the popular video game Minecraft. “Minecraft is more than a game. It’s an environment that can teach problem solving, programming and social skills. It’s like LEGO, in a social, virtual world,” said Tara Tiger Brown, co-founder of Connected Camps. As part of the game jam and in keeping with the “Hunger Games” movie theme, participants will face challenges related to natural resource conflict, food distribution and inequality, said Ariam Mogos, of Global Kids. HungerCraft is a project in association with GlobalKids, Brooklyn Public Library and MinecraftEdu. It has been the subject of several Minecraft Jam sessions since 2012. During the jam sessions, participants explore issues of social inequity as citizens of either the impoverished District 12 or the wealthy Capitol in a map based on “The Hunger Games” trilogy by Suzanne Collins. 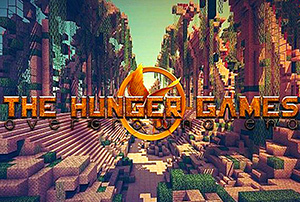 They mine and craft in Minecraft, bring their existing knowledge of the Hunger Games into Minecraft and use Minecraft to explore the social inequities depicted within the books. The HungerCraft Game Jam will commence at 11 a.m. online and in person at the New York City headquarters of Global Kids. Registration is required for the event. For more information, call Global Kids at 212-226-0130 or send email to development@globalkids.org. To register online, visit connectedcamps.com/shop/hungercraft-event. Global Kids staff members and Connected Camps counselors will be facilitating the event. Connected Camps is a benefit corporation providing connected learning experiences that foster creativity, problem solving, collaboration and interest-driven learning. By leveraging the power of open networks and partnering with community-based organizations, Connected Camps is committed to delivering the highest quality online learning experiences to young people in all walks of life. Global Kids, Inc works to ensure that youth from underserved areas have the knowledge, skills, experiences and values they need to succeed in school, participate effectively in the democratic process and achieve leadership in their communities and on the global stage through in-school and after-school programs. Banner image: A high school student recently playing a HungerCraft game during a Global Kids after-school enrichment program.